Edwardsville, Illinois – Many households have turned to loan modifications to save their homes from being repossessed by creditors or banks. Modification is the best way out of a foreclosure or a short sale. Keep in mind not to jump right in the loan modification process. There are few things you need to make sure before modifying your home loan. Let’s start by asking a few questions. To make your monthly mortgage payments more affordable and manageable, you rewrite your original home loan papers along with the creditor. This is known as loan modification. Specific qualifications are required as mentioned in President Obama’s Making Home Affordable loan modification but a creditor may also set his own requirements. The common requirement is that the house under question is your primary residence and you are facing a hard time paying your mortgage. Loan modification is not as simple and easy as it sounds. Although loan modification can lower your payments and in some cases get forgiveness for missed payments, there are still many consequences. You may be subject to higher interest rates down the road. You may have to get a second job in this tight economic situation to make your monthly payments and so on. Try to move in a smaller home or rent one before choosing loan modification. It is not compulsory that you get a loan modification. The choice is yours. If you believe that you can afford higher monthly payments in the future, then loan modification is a good way to reduce your payments for now. But also consider the scenario when you may not be able to make payments for any reason foreclosure is inevitable. Keep asking questions regarding loan modification until absolutely necessary to make a decision. Did you talk to your creditor? Before deciding to make a loan modification, contact your creditor. The earlier you explain your financial condition to them, the more likely they are to give you other alternatives. 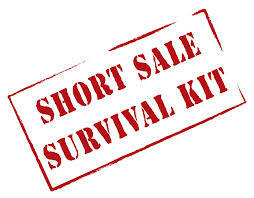 If you keep waiting even after missing a few payments, your home may be foreclosed or offered for a short sale. In such an event, your creditor may not be interested in modifying your loan or even consider other alternatives. Can you make high payments in the future? Loan modifications can only help you out in your current financial troubles such as high medical bills, mortgage bills, unemployment and so on. In years to come, the interest rate rises gradually making you pay higher mortgage or loans. Which loan modification companies are available? The market has many loan modification companies who can work with your creditor on your behalf. Research the available companies before selecting one. Loan modification can either postpone a foreclosure or stop it altogether. If you cannot make your payments on time, even with a loan modification, start considering other options to save your house.